You can’t have a story about one twin and not have one about the other, am I right? When his minute-older brother gives the keynote address at the Democratic National Convention, Joaquín Castro will be nearby, as he always is and has been for big moments in their 37 years as identical twins. On Sept. 4, Castro is likely to share the spotlight if plans proceed to have him introduce his brother, San Antonio Mayor Julián Castro, for the prime-time speech that follows Michelle Obama’s remarks. “We’ve been very supportive of each other, best friends, since we were young. 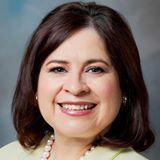 We were competitive growing up, but as you get older, you mature and mellow a bit,” said Castro, the Democratic candidate for U.S. House District 20 and a five-term Texas House member representing Northwest San Antonio. 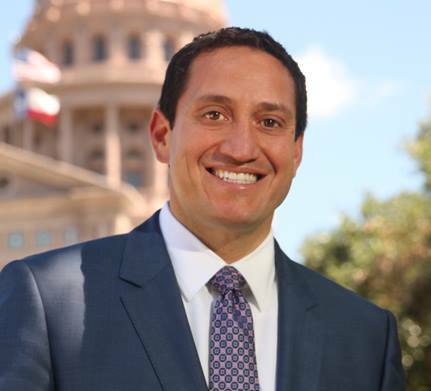 If elected, Castro would fill the seat of retiring U.S. Rep. Charles Gonzalez, D-San Antonio, who replaced his father, the late Henry B. Gonzalez, in the solidly Democratic district. “I realize I have big shoes to fill,” Castro said. “We’ve tried to take nothing for granted. That’s why we’re still running a full-fledged campaign,” he said. If he makes it to Congress, Castro could be one of the best-known freshmen and one of its youngest members. 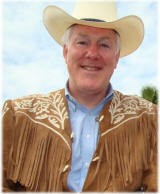 “He’s already out of the crowd,” said Austin political consultant Bill Miller. “He could go far and he could go fast,” Miller said. “If his brother enjoys greater success than he already has, that will only help Joaquín. It’s like the roads get paved ahead of you,” Miller said. The consultant said the identical-twin novelty factor is important nationally. And occasionally some not so good use, though I rather doubt that will ever happen again. Here’s the interview I did with Joaquin Castro. I expect he’ll make a fine Congressman. I also expect that he will have his sights set on something higher down the line. With Julian Castro, you have to figure that 2018 is a target year for something statewide, since he will be term-limited out as Mayor of San Antonio in 2017. With Joaquin Castro, it will be more a matter of the right opportunity at the right time. But let’s get him to Congress first and worry about all that later.